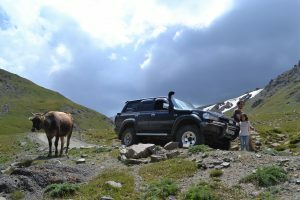 When I rented a Land Cruiser in Bishkek, I was pleased to see that it was a genuine offroad monster with raised air intakes and a ground clearance I could limbo under. 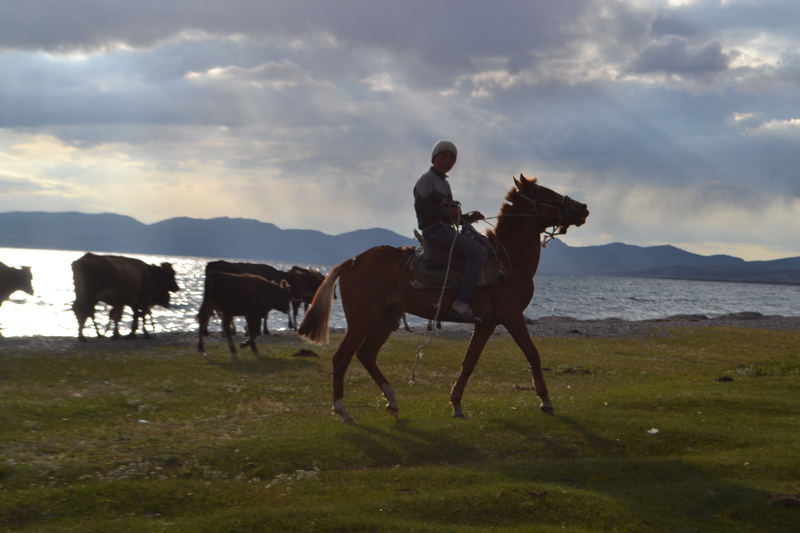 I loaded my 6-year-old daughter into her seat and set off towards the Tien Shan. Two things I underestimated were how much fuel the Land Cruiser used and how attractive it was to the police. 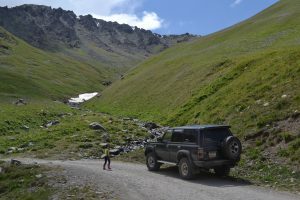 I made the big mistake of driving along the northern side of Issyk Kul at the height of tourist season and was fined three times in half an hour for undefined offences. At least the prices were negotiable. One demand went from $US1000 to 500 Kyrgyz Som, about $US7. 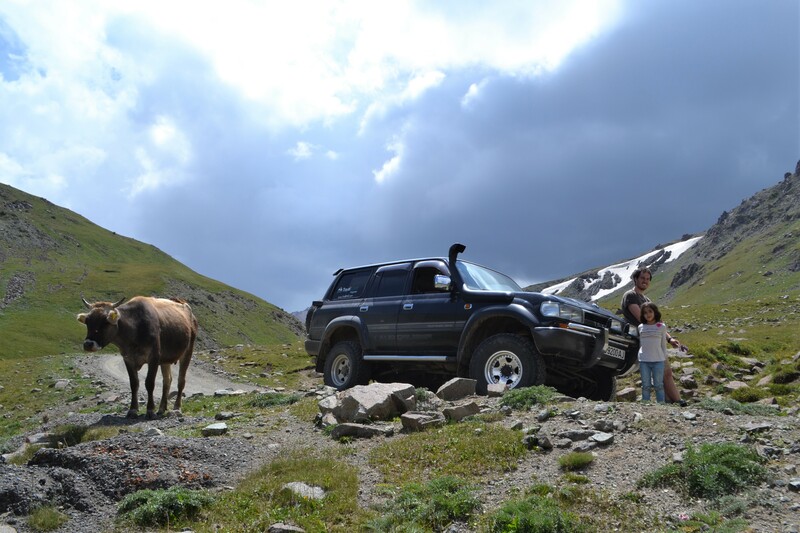 In the mountains up to Son Kul, the Cruiser showed its value. It was only there that I started paying attention to the altimeter above the interior mirror. Climbing from rocky desert to what looked like the Swiss Alps, the reading started to mount towards 3000 metres and beyond. 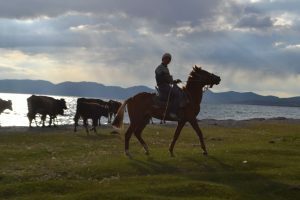 The track kept climbing and most of the traffic consisted of horsemen and yak herds. The analogue scale on the meter finished at 4000m but the needle kept turning clockwise until it started again from sea level. There aren’t many roads higher than 3000 metres in Japan so I guess there is little point in making the altimeters with higher scales. The Cruiser managed several deep river crossings and coped well with the boggy ground as we descended towards the lake. Still, it was nice to change to a one horsepower vehicle.